If you're looking for a powerful, scalable, and easy to use workgroup printer, look no further than the HP LaserJet M4345. 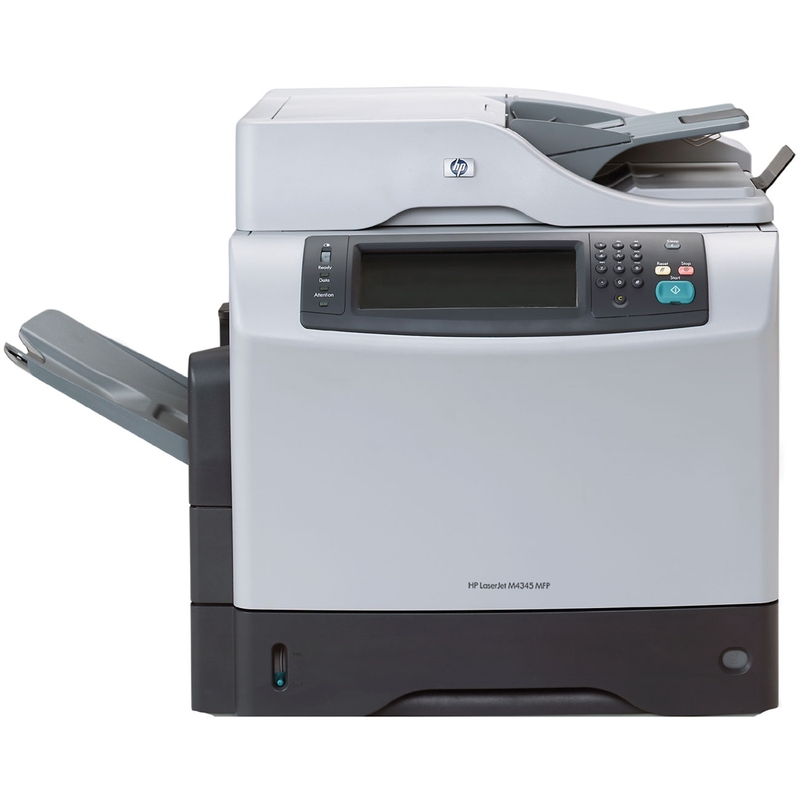 Featuring a print and copy speed of 45 pages per minute, this is a serious workhorse machine for your office. This multifunction unit comes standard with send-to-e-mail and network folder capability. Original HP LaserJet print cartridges use HP Smart printing technology to keep your business up and running. Take advantage of the embedded 40 GB by keeping localized copies of frequently used documents and forms. 256 MB of integrated memory means the HP CB425A#BCC M4345 can easily handle a variety of large, demanding print jobs. Enjoy flawless printing, scanning and copying with the HP LaserJet M4345.